Motorola has announced two new Android smartphones the Motorola Motoluxe and the Motorola Defy Mini, and both devices will be shown of at CES 2012 next week. 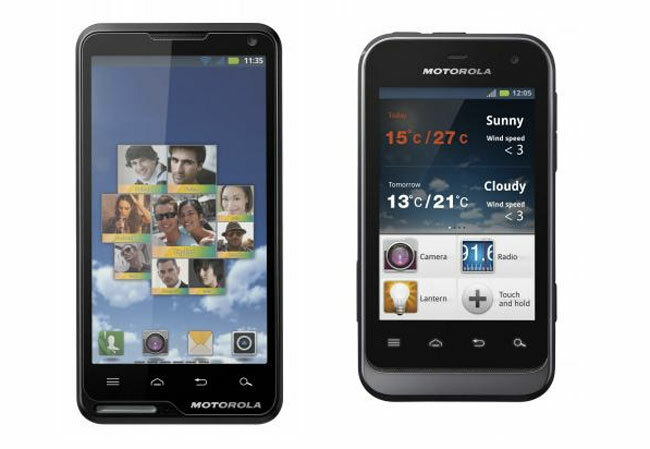 The Motorola Motoluxe features a 4 inch touchscreen display and an 8 megapixel camera, plus a VGA front facing camera and a 1,400 mAh battery, it will come with Android 2.3 Gingerbread. The Motorola Defy Mini will come with a 3.2 inch touchscreen display and a 3 megapixel rear camera, there is also a front facing VGA camera and a 1,650 mAh battery it will also come with Android 2.3 Gingerbread.